The End of the French Socialists? The End of the Socialist Party? Not so sure…. The French Socialist Party (PS) is still in the throes of its historic rout in this year’s Presidential and Legislative elections. While some of its representatives have switched sides and now support centrist President Macron, others are calling for a ‘refoundation’ of the party. The PS will not support a vote of confidence in the government of Eduouard Phillipe, although sufficient ambiguity has been left open for those who will abstain instead of actively voting against. Former Presidential candidate Benoît Hamon – 6,36 % in those elections, he lost his seat in the Parliamentary contest – has created a new movement. This “transpartisan” body, which aims to draw in support and debate from the whole left, will hold its first meeting on the 1st of July. Also on the PS left, Arnaud Montebourg, has called for the party to adopt radical policies, an internal shake-up rather than an approach outside its organisation. 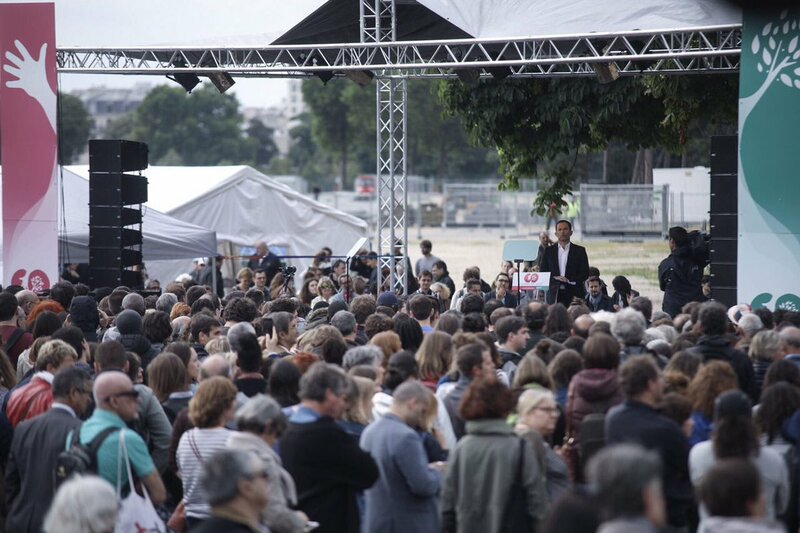 His proposals, centring around ‘Inventing a new left”, have so far attracted 700 PS supporters (PS: des proches d’Arnaud Montebourg veulent inventer “la gauche nouvelle”. 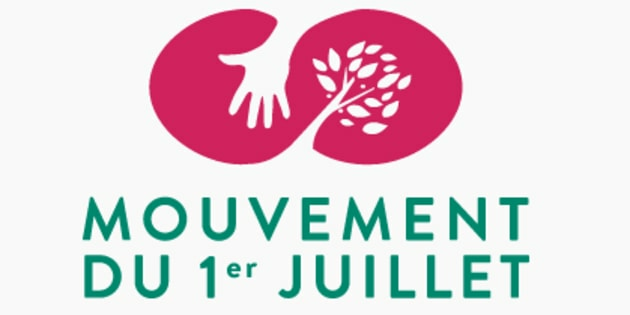 The Parti Socialiste’s National Council meets today (Saturday). Some commentators suggest that, given its long existence, structural roots in civil society, and no obvious signs of internal collapse, that the Parti Socialiste, despite its reduction to 34 MPs and 7,44% of the vote in the Legislatives, is not going to disappear. Re-branding, negotiating a new ‘synthesis’ of ideas, or reaching out to other parts of the left, or a further haemorrhageing to Macron, will take time. To begin with. Where they will end up is very far from clear. French Legislative Elections: A Victory for Social Liberalism against Populism? Seats in the Assemblée Nationale. interieur.gouv.fr MINISTÈRE DE L’INTÉRIEUR Second Round. This morning on the French radio the expected news of the triumph Emmanuel Macron’s La République en Marche was immediately followed by an announcement that Prime Minister Edouard Philippe would tolerate no pot-shots at his government from his own quarter. The fresh-faced majority would not see its own deputies becoming “frondeurs” – critics that the right-wing of the Parti Socialiste now blame for their own crushing defeat, from the Presidential elections to the legislatives. As in Macron Minister Richard Ferrand (accusation of dodgy property deals) Justice Minister and leader of Macron’s allied party, the Modems, François Bayrou (alleged misuse of European funding)…..
Hutton’s 1995, The State We’re In, proposed a ” radical social democratic ” programme for Tony Blair’s Labour Party, with a strong dose of constitutional reform – apparently the key condition for transforming the UK’s dominance by financial interests – as the answer to British economic difficulties. It drew support from a constituency that emerged at the end-tail of the ‘New Times’ politics of the disintegrating Democratic Left, the largest Eurocommunist tendency of the former Communist Party of Great Britain (CPGB), some within the Trade Union Congress, and the liberal left. He has since sifted through a variety of ever more diluted versions of these themes, ending up with a plea for “fairness” in Them and Us: Changing Britain – Why We Need a Fair Society (2010), and others whose contents I defy anybody to remember anything about. 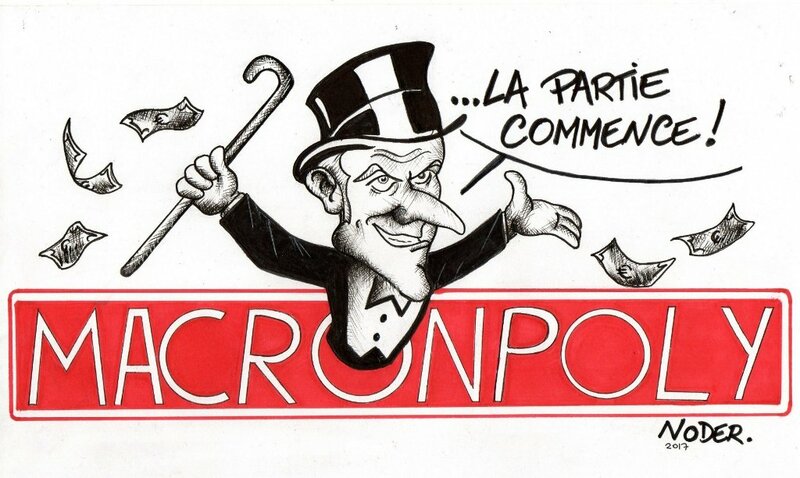 In the latest of the columnist’s band-wagon efforts his embrace of the glimmer of a new ‘progressive’ movement – it seems that Macron is keen on “social investment” is on very wobbly ground indeed. Hutton rushes overboard to back the very measure which will raise the hackles of the French trade union majority – apart from the ‘negotiating reformists of the CFDT – ‘reform of the labour market’. This “loosening” of the Code du travail met with mass protests and strikes in 2016. Will Macron’s priority for legislation in this area, apparently based on a (vaguely sketched) ‘Nordic Model’ though perhaps the ability to sack at will does not figure there, run into a similar storm? The subject is not mentioned. Macron has been described as populist, in the sense that his idea of ‘progressive’ is ‘beyond left and right’ and is, well, popular. But there is little else to tie him to the debate about populism. He does not support the incarnation of the People in France, or pit the Nation’s sovereignty against Europe and Globalisation. He is not anti-pluralist, En Marche! does not promote an exclusive form of identity, aim at actual or potential ‘occupancy’ of the state, the suppression of civil society and pluralism, or use any form of demagogy. Macron’s policies on the European Union (pro, with the promotion of reform) and globalisation (pro- but moderated) are anti-populist. So how do we begin to come to grips with his politics? Since the Referendum Campaign and the victory of Brexit, and Trump’s election, many commentators have talked up the ‘populist wave’. David Goodhart (The Road to Somewhere: The Populist Revolt and the Future of Politics. 2017) talked of “values tribes”. The somewhere people – those rooted in a specific place or community – were contrasted with the anywhere people, urban, socially liberal and university educated. Macron’s party, with its strong support (up to 90% in Paris) in cities and amongst those with degrees, open minded on social issues, liberal on equal rights and equality of opportunity is anywhere placed and given a location. These French anywheres have been beaten off the somewheres, the ‘periurban. the inhabitants of France’s ‘rust belt’ who voted for the Front National. The constituency of En Marche!, one suspects, is less ‘socially liberal’ on policies that cost money and taxes, real equality, or is social in the sense of engaging with the social struggles waged by trade unions. The ‘freedom’ of the market come first. But this is only the beginning of efforts to come to terms with Macron, and his party-movement. The Basis For French Political Realignment. Thibault Muzergues (Le réalignement politique n’est pas vraiment idéologique, il est d’abord sociologique) fleshed out the sociology behind the changing French political scene. First of all Muzergues talks of “millennials“, white I find this claim goes against the observable pattern) , educated, frustrated at not finding a job, and one could add, at the cost of higher education, above all at the continued fallout from the 2008 economic crisis, austerity. They tend to back the radical left, Corbyn in the UK, Podemos in Spain, and La France Insoumise in the Hexagogne. Then there is a “white minority”, the left behind, the inhabitants of the ‘rust belts’ in Europe (and the USA). They are the ‘losers’ of globalisation. They tend to back the Front National, supported Brexit, and, obviously, Trump. Next is the the “creative class”, the winners of globalization, cosmopolitan Bobos (bohemian bourgeois), from high-flyers to right-wing smug Hipsters (I add this latter bit off my own back) who are Macron’s constituency. Finally, Muzergues sketches as those attached to their ‘somewheres’, “terroir’ et tradition’, They are the polar opposite of the Bobos, the bourgeois bohemians who like Macron. The “boubours” (bourgeois-bourrin, which comrade Google translates, as “philistine nag” and I would say something approaching Essex Man) are as much a part of this cohort as the French equivalent of Home Counties pious Tories. Unlike their British counterparts included in their conservative values are the existing system of social protection (in France, and no doubt the UK – the Welfare state, notably for the elderly). These lean towards the classical right, Les Républicains onwards. The game of identifying the constituencies in the new French political landscape will no doubt continue, with the addition of exploration of the largest body in this second round: the abstentionists, who included 4,2% who voted, blank or spoiled ballot papers. But if Muzergues tends to work backwards, from the choices on the ballot, voting patterns, to constituencies, it is a better framework than the somewhere/anywhere couple. It has the merit of outlining one group which appears distinct from the sterile distinction between populist salt of the earth anti-EU, anti-immigrant, anti-globalisation somewheres and the urbane creatives. The constituency of the millennials is an interesting one and has can be seen to have parallels elsewhere, in the United Kingdom and the basis of much support for Labour and Jeremy Corbyn to start with. A lot more needs to be added on the Front National, which I will postpone until the slew of post-election books arrives. End of Left and Right? There has clearly a game-changing series of changes in this election. Some argue that these new voting blocs are overshadowed by a profound transformations in French political topography. This year’s elections have undermined the traditional blocs of left and right, as organised and institutionalised parties, bodies with histories dating to the early years of the 20th century – Socialists, to the foundation of the Section Française de l’Internationale Ouvrière, SFIO, in 1905 – with origins still further back to the tumult and aftermath of the French Revolution. That the Parti Socialiste has managed to get 29 seats with a pitiful 5,68% of the vote, masks its own split between those who consider that they are “Macron compatible” and those hostile to him. One of them Myriam El Khomri, in whose name the previous labour ‘reform’ was carried out, lost to the traditional right in the second round on Sunday. The Socialist Presidential candidate, Benoît Hamon, was also eliminated in the first round. As a sign of their divisions, Hamon then called for a vote for La France insoumise in the constituency where his PS rival, Manuel Valls, was standing. Jean-Luc Mélenchon’s La France insoumise (LFI) now has a parliamentary group. Apart from those primarily devoted to his own person it includes, François Ruffin, the author of the film Merci patron!, credited with inspiring the Nuit Debout movement, and Clémentine Autain, the independent minded spokesperson for the left alliance Ensemble (Législatives 2017 : La France insoumise de Mélenchon aura un groupe à l’Assemblée nationale. How far they will fit in with the Left Populist leader’s plans to lead the People against the Oligarchy, and whether agreements can be reached with the 10 Communist deputies, pleased not to have erased from the electoral map, as once seemed possible (Législatives : le PCF retrouve quelques sièges historiques) remains to be seen. Their priority will obviously be to defeat Macron’s plans to liberalise the labour market by weakening employees’ rights. Their debates will be of great interest to the whole European and international left. As the ‘incarnation of the programme’ Mélenchon may not have to face people who might disagree with him inside his rally, La France Insoumise that Pablo Iglesias has found in Podemos, or opponents of the statue of Íñigo Errejón. But it may well be that he’ll find that he meets his equals in the new National Assembly, people who are more interested in this re-foundation of the left than in an individual’s plans for the French People. While Macron’s triumph paves the way for the sweeping reforms he has promised, it also comes with a number of important caveats, starting with the massive level of abstention that made it possible. For the first time in history, turnout in a legislative election has slumped to below 50%, in both rounds. On Sunday, a mere 43% of voters bothered to cast their ballots. This means the 42% of votes won by LREM candidates account for less than 20% of registered voters. The record level of abstention underscored the widespread election fatigue accumulated over more than 12 months of non-stop campaigning, successive primaries, and a two-round presidential election. It also highlighted the imbalance inherent to France’s electoral system, in which legislative polls tend to be seen as a sideshow to the all-important presidential bout. With his hyper-personalisation of politics, Macron has dramatically increased this discrepancy. Above all, the measly turnout reflected voters’ widespread disgust with the mainstream parties of right and left that have dominated French politics for decades. A few weeks ago, the conservative Les Républicains were still hoping to win a majority of seats. As results trickled in on Sunday, they were projected to win just 126, their lowest-ever tally. Reflecting on the debacle, their campaign leader François Baroin had little to offer, besides wishing Macron “good luck”. As for the former ruling Socialists, they slumped to an all-time low of 29 seats. 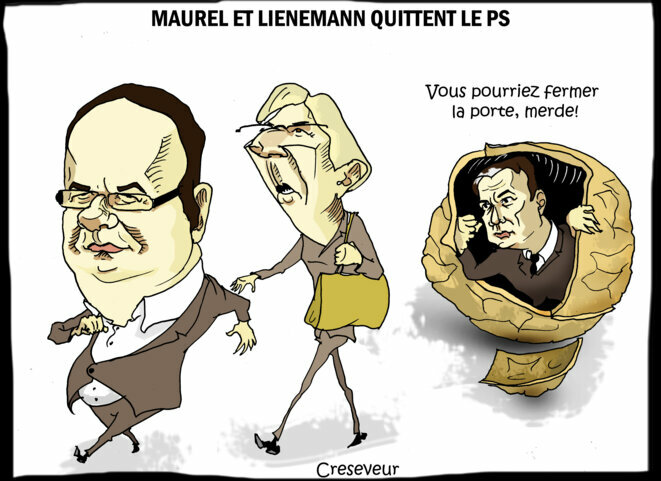 Last week saw the first-round exits of party boss Jean-Christophe Cambadélis and presidential candidate Benoît Hamon. More heavyweights fell on Sunday, including former education Minister Najat Vallaud-Belkacem, who was seen as one of the party’s rising stars. As the scale of the defeat became obvious, Cambadélis announced his resignation, adding that “Macron’s triumph is uncontestable”. Among the survivors from left and right, several have already pledged to support the “presidential majority”. They include former Socialist prime minister Manuel Valls, who saved his seat in the Essonne, south of Paris, by a mere 139 votes – and only because LREM chose not to field a candidate against him. His far-left opponent has challenged the result alleging voter fraud, and a recount is on the cards. Indicative of the extraordinary realignment of French politics was a flashpoint contest in northern Paris, in which centrist Socialist candidate Myriam El Khomri enjoyed Macron’s support, while her conservative challenger Pierre-Yves Bournazel was backed by Macron’s prime minister. Victory went to the latter, marking a huge upset in a constituency that was once solidly left-wing. While LREM capitalised on the anti-establishment sentiment, other parties that had been hoping to ride the same wave fell way short of their objectives. It was notably the case of the far-right National Front of Marine Le Pen, the runner-up in last month’s presidential contest, which failed to translate its strong showing in presidential polls into a large parliamentary contingent. François Hollande “writes off” his party candidate, Hamon, and seems to call for Macron vote. 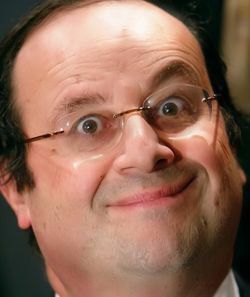 Hollande: dumps his own Party’s Candidate. Just when you thought things couldn’t get more confused in the French Presidential elections, this story erupts. Si François Hollande n’a publiquement pris position pour aucun candidat à la présidentielle (ce que Manuel Valls ne juge “pas normal”), sa préférence semble aller à Emmanuel Macron. If François Hollande has not publicly taken a position in favour of any candidate in the Prsidential elections (which Manuel Valls estimates is “not normal”) his preference appears to be for Emmanuel Macron. Now if there is one thing President Hollande was famous for, it was that he was a “party man”, a stalwart figure of the Parti Socialiste, the Genial First Secretary and all that. Sans vraiment le dire, François Hollande a discrètement appelé à voter pour le candidat d’En marche! dans un entretien à paraître jeudi 13 dans Le Point et dont le journal Le Monde développe les principaux points dans un article paru ce mercredi 12. Without exactly saying it François Hollande has discreetly called to vote for the candidate of En marche! in an interveiw which will appear on Thursday in Le Point (Note: hard line ‘liberal’ right wing weekly). Le Monde has outlined the principle point in an article which has come out today. François Hollande breaks his silence: this campaign reeks. Without calling for a Macron vote, the President is worried about Mélenchon’s breakthrough, and seems to have written off the Socialist candidate.